Juniors Kylie Lorenzen (Holliston, Mass.) and Brianna Camara (Fall River, Mass.) 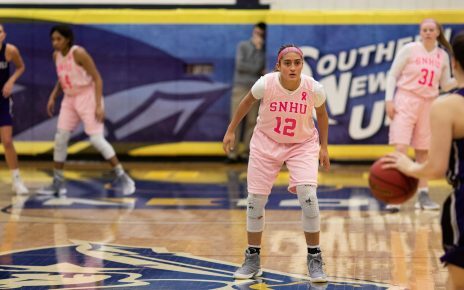 each notched double-doubles to lead the Southern New Hampshire University women’s basketball team to a 64-53 victory against Southern Connecticut State University on Saturday afternoon at the Moore Field House. Lorenzen scored a game-high 20 points (8-9 FG, 4-4 FT) and pulled in 10 rebounds, while Camara posted 14 points (4-8 FG, 4-5 3-FG, 2-2 FT), a career-high-tying 11 rebounds, five assists, two steals and a block. Sophomore Victoria Dean (Plymouth, Mass.) was also in double figures with a season-best 13 points (4-9 FG, 3-8 3-FG, 2-2 FT) and four boards. Africa Williams paced the Owls with 15 points. Southern Connecticut scored the first four points of the game and led by five past the midway point of the opening stanza when a 3-pointer from Dean and layup by freshman Gyanna Russell (E. Hampton, Conn.) tied the game, 8-8, with just under four minutes to go. Abby Hurlbert then knocked down a 3 for the Owls’ first field goal in nearly four minutes and the hosts would take an 11-8 lead into the second stanza. 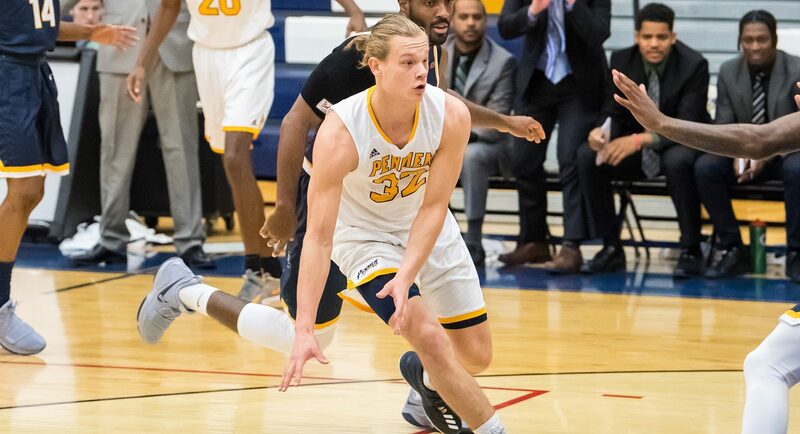 Williams opened the second-quarter scoring with a triple before Southern New Hampshire erupted for a 30-7 run that spanned the remainder of the half. Back-to-back triples from Camara gave the Penmen their first lead of the game at 16-14 just over two-and-a-half minutes in before Dean connected on another 3 to give SNHU the lead for good at 19-16 with 5:48 to play. That 3-pointer also set off a run of 15 straight points – with five points from Russell and four from Lorenzen – that stretched the lead to 31-16 with three minutes to go. After a pair of free throws temporarily halted the bleeding, a 7-0 run – with the final five points coming from Dean – pushed the lead to the largest of the contest at an even 20. Maddie Brown would sink a 3 before the end of the half to trim the SCSU deficit to 38-21 at the break. Five points from Williams powered a 10-4 run that opened the second half and cut the Owls’ gap to 42-31 with 3:18 remaining. 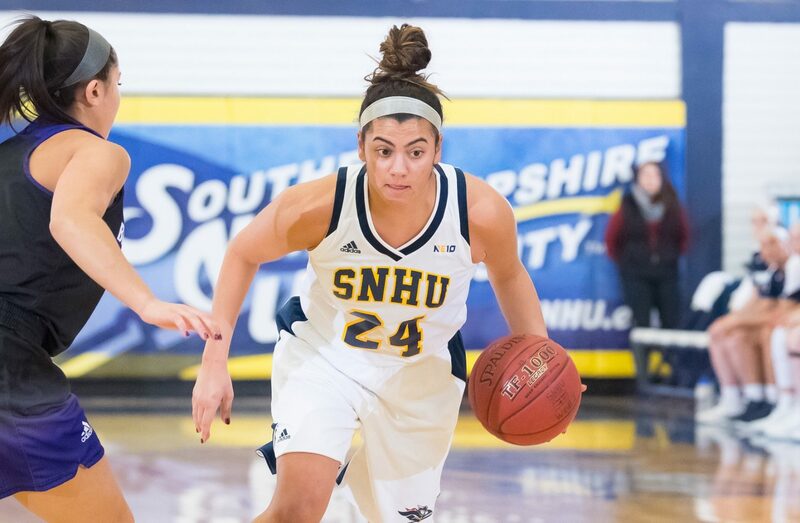 Five straight points from Lorenzen carried a 7-0 run that ran the lead back to 18, but Allie Smith ended the third quarter with five straight points that brought Southern Connecticut to within 49-36. With the margin at 18 just under four minutes in, seven straight points, including the final five from Williams, trimmed the Owls’ deficit to 55-44 with 2:32 to play. Southern New Hampshire responded with an 8-3 spurt – with five points coming from Lorenzen – to flip momentum and all but seal the win by taking a 63-47 lead with 41 seconds on the clock. Amanda Pfohl would bury back-to-back triples to get the Owls within 10, but just 23 seconds remained. Russell tallied nine points (4-8 FG, 1-2 3-FG), two rebounds and two assists. 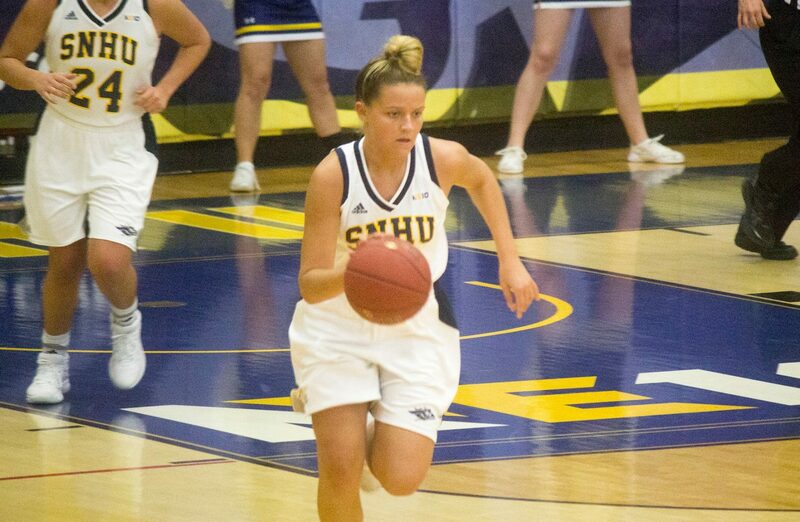 Senior Jennifer Shelp (Apalachin, N.Y.) chimed in with four points (2-9 FG) and six rebounds.